Why Should You Be Celebrating IHOP’s National Pancake Day? Today, March 3, 2015, is International House of Pancakes’ National Pancake Day. The event started in 2006 as a way to support charities in the communities in which they operate. To date, IHOP has raised over $16 million dollars – not a bad chunk of change. This year marks the tenth anniversary of the event and to celebrate the “Decade of Giving,” guests will receive a free short stack of pancakes in return for their donation to Children’s Miracle Network Hospitals or another designated, local charity. We’ve seen our fair share of “reward for spending” or cause related marketing efforts as of late. In fact, the amaraReps team has done a few ourselves, we’ve put together campaigns with both Soles 4 Souls and People Water, which created amazing opportunities for the clients (and people) involved. Tom’s has even taken it so far as to base their entire sales/marketing strategies around the concept. The great benefit to companies that create these customer rewards campaigns is that they create customer loyalty and increase brand sentiment. A good experience is likely to create a repeat customer, furthermore giving customers an incentive to choose your company over others will strengthen the bonds that already exist. Essentially, the customer is asked to invest a dollar today and they can expect to get much more down the road which gives them a feeling that they chose wisely. Personally, I find it is a great tactic for so many reasons. 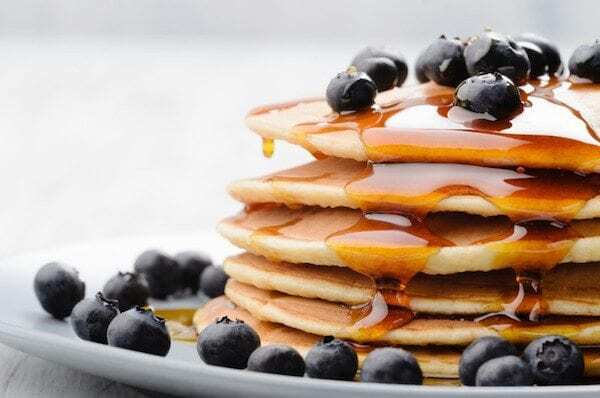 In particular, IHOP’s approach of connecting their customer directly to a charitable cause increases their sales and gives them a PR boost at the same time. Furthermore, any investment in your community is an investment in yourself. Food for thought… pun intended.